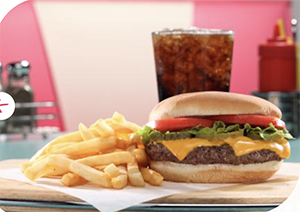 Hwy 55 Burgers Shakes & Fries, a national retro-themed diner chain, is opening its newest location in Knoxville at West Town Mall. Hwy 55 is a diner with a full menu of American classics served in a fun, 1950’s dining atmosphere. It features fresh, never frozen, hand-pattied hamburgers, cheesesteak sandwiches, salads and a wide variety of milkshakes and frozen custards. Each location features a unique open kitchen in which customers can watch their meals being prepared. The restaurant is owned by Knoxville resident William Hamilton. Hamilton has owned a Hwy 55 in Oak Ridge since October 2018. He also opened a Hwy 55 restaurant at 9314 Kingston Pike in Knoxville in late December. Hamilton plans to open his third Hwy 55 location in Knoxville with a new restaurant in Hardin Valley in late March. Hwy 55 opened its first restaurant in Goldsboro, NC in 1991. The newest restaurant opening in the West Town Mall will mark its eighth location in the state of Tennessee with several more openings planned for later this year. Once a well-kept secret in tiny but vibrant Mount Olive, North Carolina, Hwy 55 now operates 137 restaurants and has sold the rights to more than 1,000 franchise locations around the world. Hwy 55 has also signed franchise area agreements for Texas, West Virginia, Louisiana, Kentucky and southern Indiana and Virginia in the past year. For more information on Hwy 55 visit hwy55.com.